New York University, NYU, has been one of America’s top schools for some time. Boasting a variety of very successful programs, it turns out attorneys, doctors and photographers by the hundreds. Yet, about 162 years ago, the school was struggling and it looked like it might have to close. Then one man, a descendent of Jeffrey Ferris, was found to lead the school into prosperity and the future. That man was Isaac Ferris (1798-1874). 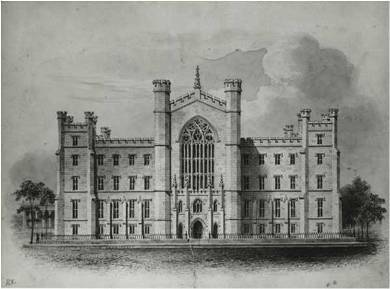 By 1850, things had gotten so bad that the faculty was administering the university. In 1853, the school came to a prominent clergyman of the Dutch Reformed church, and asked him to become Chancellor. Isaac Ferris took the job and governed the University of New York, to become New York University, for 17 years. Isaac Ferris was the third great-grandson of Jeffrey Ferris through his son, John. He matriculated at Columbia University at the age of 12. During his time at that school, he was enlisted with other students into the Army for the War of 1812 and served duty in various forts around New York harbor. He successfully graduated in 1816, delayed but a year by his military service. The degree of D. D. was conferred on him by Union College in 1833, and that of LL. D. by Columbia in 1853. 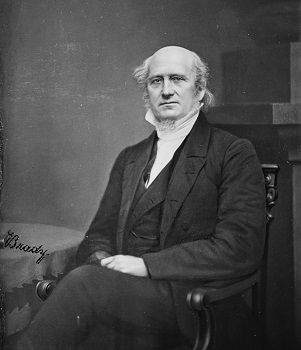 He was licensed to preach in 1820, after studying at Rutgers Seminary. He founded the Rutgers Female Institute in New York City in 1839. In 1842 he sailed to the Netherlands a a commissioner, on behalf of U.S. missionaries in the Dutch Indies. 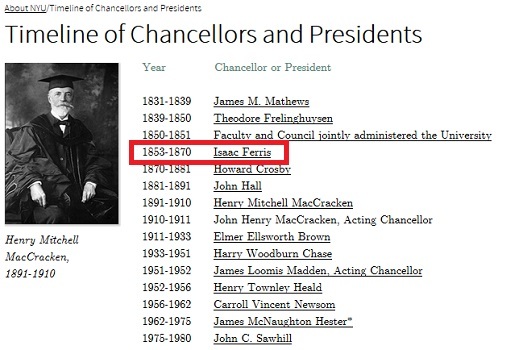 Seventeen years and a half of services followed which resulted in the extinction of a crushing debt of nearly one hundred thousand dollars, the endowment of four professorships by contributions of nearly one hundred and twenty thousand dollars more and in the addition of several new departments to the course of instruction. His work reached to Japan, as well, where the Ferris Seminary is now Ferris University, in Yokohama.